In Berkeley, CA, the local government has announced the possibility of issuing an Initial Coin Offering (ICO) in order to raise funds for local housing projects. Given Berkeley’s long history with liberal policy, it is no surprise that they were America’s first sanctuary city. By definition, sanctuary cities are city districts that give immigrants, specifically undocumented immigrants, the ability to access city resources so “they can play an active, safe and fulfilling part of the city.” The municipal policy in these cities aims to limit the full effect of anti-immigration policies and to protect undocumented immigrants from the risk of being deported or convicted. Part of President Trump’s anti-immigration policy is to reduce funding for sanctuary cities like Berkeley. Such a policy poses a threat to their community’s future, specifically to their housing development projects. Berkeley is already facing a crisis with its housing supply due to structural policy problems that make it difficult for long-term homeowners to sell property. Proposition 13, passed by the state of California in 1978, froze property tax values at the property’s assessed value in 1976, and capped increases in tax at 2% yearly. However, when ownership changes, the taxes are set at 1% of the sale price. So although Proposition 13 has allowed for huge tax breaks for longtime owners, they are unable to move since the new home taxes will be assessed at 2017 values, which most of the owners cannot afford. This aside, there is generally an issue with affordable housing. Real estate developers in the area have been focusing on the wealthier section of the market, therefore creating a lack of affordable housing for low-income families, including immigrant families. As a result, the local municipality has proposed an ICO affordability solution in order to raise the capital for new affordable housing. Like any other debt instrument, the purpose the ICO will be to raise funds in order to finance low-income development and other projects through the sale of digital tokens, which would be cryptocurrency-based assets similar to Bitcoin, Ethereum and other cryptocurrencies. The ICO will be backed by a municipal bond in order to ensure its initial value and stability. Similar to how the U.S. dollar was once backed by gold, the tokens will be backed by a government bond so that the value can be maintain and the risk is reduced. Although the plans are still in the early stages, the long-term goal of the offering would be to promote transactions within the city through the use of these tokens. The issuance of these digital tokens has the same objective as a regular municipal bond: to raise capital. However, instead of a fixed payout, these securities will be digital assets which can be used for transactions with businesses that accept cryptocurrencies. Furthermore, while regular municipal bonds do not offer very high returns, cryptocurrencies have been known to act more like equity assets and appreciate at abnormal rates after their initial offerings. 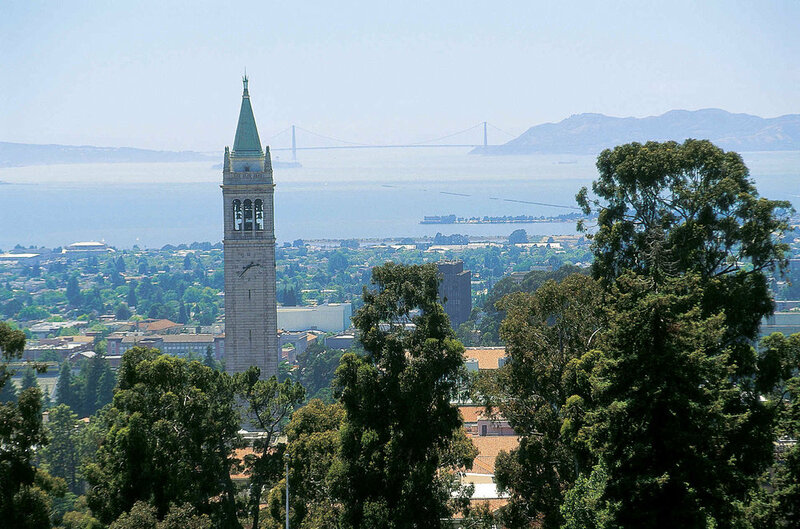 So, the issuance of these digital tokens would not only raise much-needed capital for Berkeley, it would also help stimulate the local economy if the offering is successful and the value of the token continues to appreciate over time. Still, there will be large concerns related to risk and security of these tokens. Although cryptocurrencies have experienced huge growth rates, they have also proved to be extremely volatile. The vast fluctuations in the crypto market might make the citizens of Berkeley hesitant to participate in the ICO plan, and therefore fail in raising the capital. But since this form of cryptocurrency will be backed by a government bond, it could possibly avoid replicating the activity of other decentralized cryptocurrencies that are not backed by governments or institutions. The backing of the bond would provide more certainty and confidence to its growth. Additionally, since its uses will initially be confined to the city of Berkeley, the security’s trading volumes won’t grow as rapidly as currencies such as Bitcoin and Ripple, which would potentially make it a lot less volatile. The idea of Berkeley’s Initial Coin Offering introduces a potentially revolutionary policy for local governments to raise capital independent of approval from the federal government. In countries like the United States, where local governments have some independence from the central government but still depend on them for funding, ICO schemes such as this can provide a means of obtaining the funding without the need for approval. If successful, the development of a financial system outside of the federal government using blockchain assets will allow for further independence from the central governments for policy-making and funding. In situations such as Berkeley, where the central and local governments are in disagreement about policy, this would prove extremely beneficial for the citizens. However, if such schemes become more popular among municipalities that are in disagreement with the federal authority, it will slowly eliminate the need for funding and approval, which could potentially threaten the integrity and structure of the overall governing system. Lastly, given the current nature of the crypto market, it is difficult to foresee a scheme like this being widely accepted by the public. If the volatility of cryptocurrencies remains at its current level, it is unlikely that the public will be eager to purchase these tokens, and even more unlikely that local businesses will accept them if the token is not universally used. It will be interesting to see how Berkeley’s ICO plays out, if it ever does.